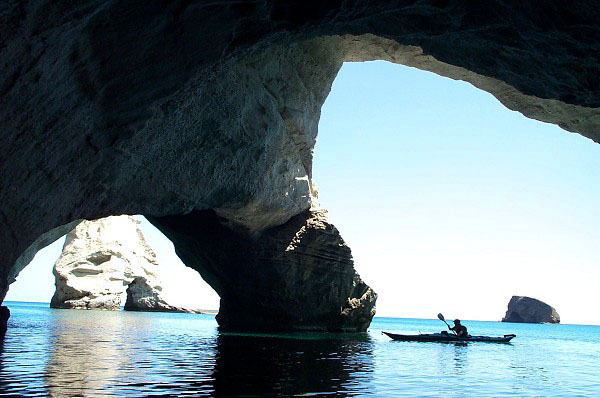 There are about 30 sea arches around the Greek Island of Milos. 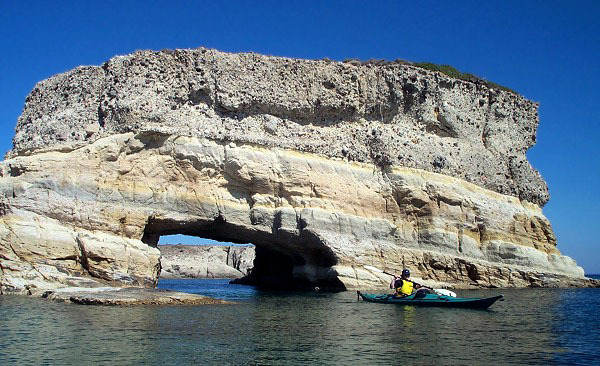 Probably the most beautiful area is Kleftico in the southwest part of the island, containing numerous arches and sea tunnels accessible only by boat. The first three photos on this page were taken at Kelftico. 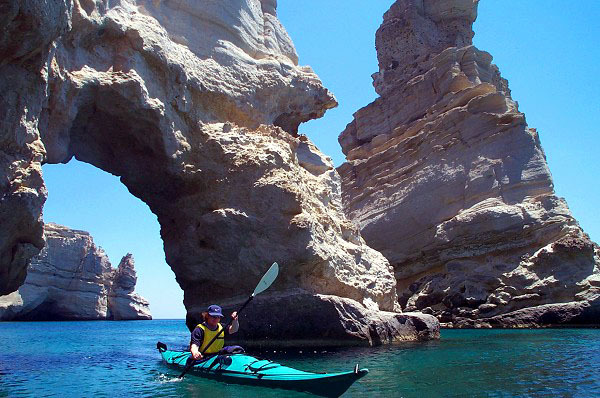 For more photos and details on the island of Milos and how you can enjoy kayaking there, see www.seakayakgreece.com. The arch in the background above is shown closer up in the photo below (notice the diver above the opening for scale). 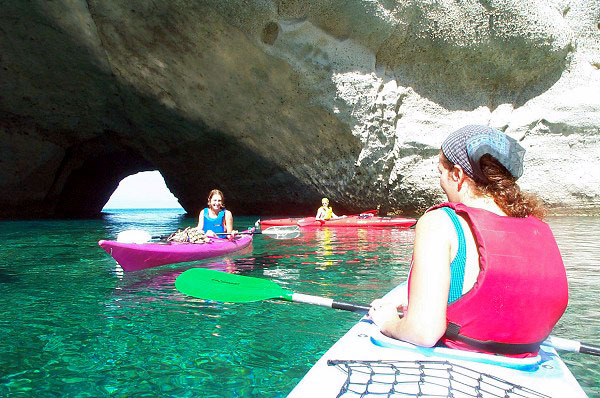 The photo below is taken at Psathi on the southern coast of the island. 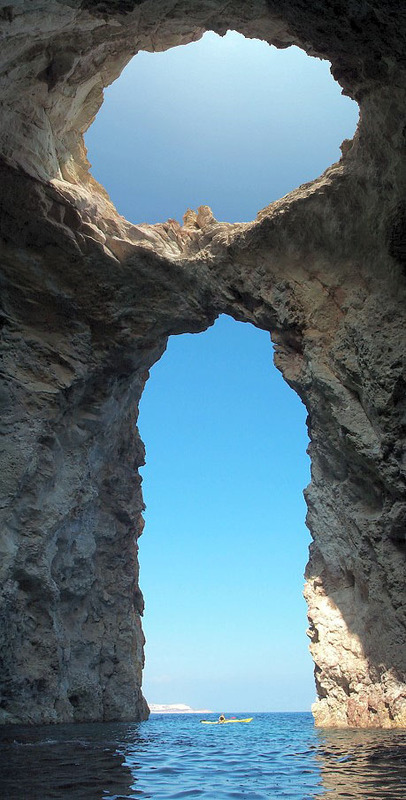 The photo below is taken at Sikia on the western coast of the island. 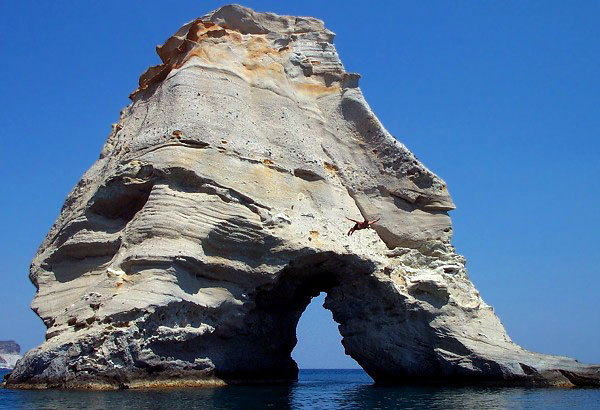 The panoramic photo below was taken on the north side of the island of Poliegos, about 10 kilometers east of Milos. This formation is known as Macry Cave.